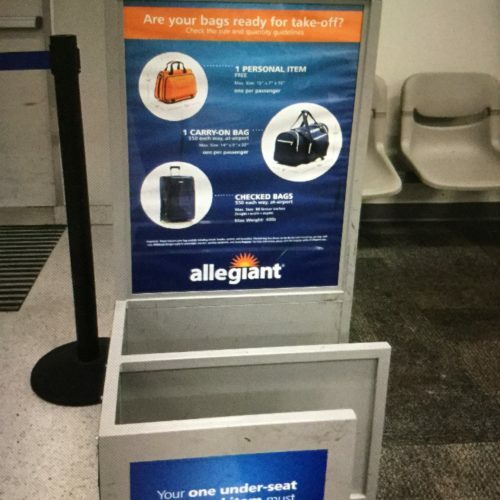 Not Verified | Had a terrible experience traveling with Allegiant Air. The flights themselves weren't bad but the delays and how we were treated while waiting was the worst of it. On our way to our destination we were delayed about 12 hours, in 30 min/1 hr/2 hr increments overnight - from 8 pm until 8 am the next morning. I was 21 weeks pregnant at the time and sick with a terrible cold and would have gladly even paid for myself to go sleep in a hotel (though they should be paying for it or offering some kind of reimbursement) had they just told us our flight wasn't leaving until the next morning but instead they kept coming up with excuses and making us think we were leaving soon and then pushing it up even further. One of the worst nights of my life at the airport. Flights were not delayed due to weather or "unpredictable" circumstnaces but due to staffing and airplane scheduling and maintenance issues. Staff were very unapologetic and not kind whatsoever. On the return flight we didnt think anything would be delayed because it couldn't possibly happen twice but again the flight was delayed 4 hours (not so bad this time) but also was delayed in short increments, when likely they could just tell everyone the truth from the get go. 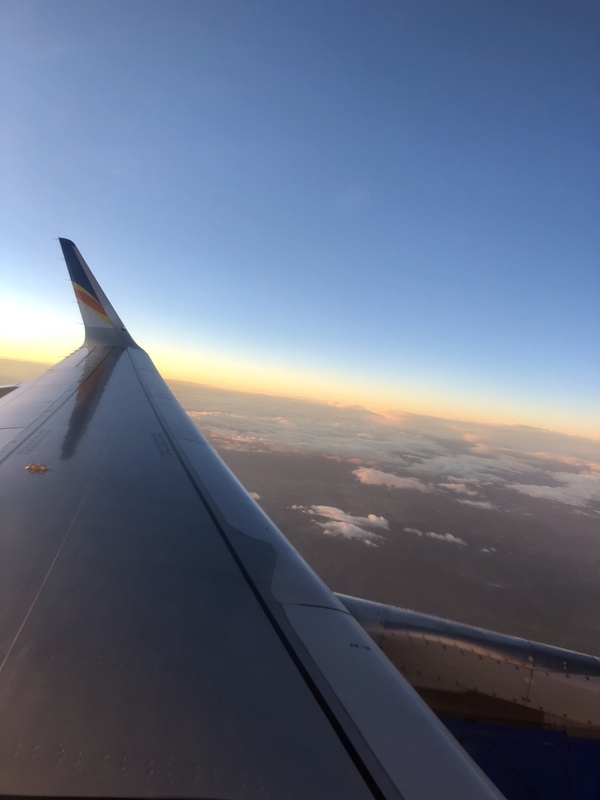 Our flights with Allegiant were $350 for two passengers round trip, so cheap, but i would have gladly paid twice the money not to deal with them again. ✅ Trip Verified | Medford to Los Angeles. First time and last time flying with Allegiant. The flight was delayed 3 hours. They charge me 50$ for my small carry on, plus they did not let me take it with me on the plane! They told me it would have to fit under my seat. When I arrived to the plane there was plenty of empty spaces in the above head compartments. When I asked the flight attendant about the incoherence of my carry on, the only answer was “I do not know”. They said we were going to get a 50$ voucher that I will never use because I will not fly again with them. I do not recommend this airline, very bad experience. ✅ Trip Verified | Toledo to Orlando. 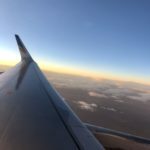 We've had terrible experiences with Allegiant Air and will never fly with them again. It's a cheap airline and travelers do get what they pay for, which is a lot of inconvenience. We've flown 4 round trips with Allegiant and all eight legs of our journeys were marred by delays and cancellations. 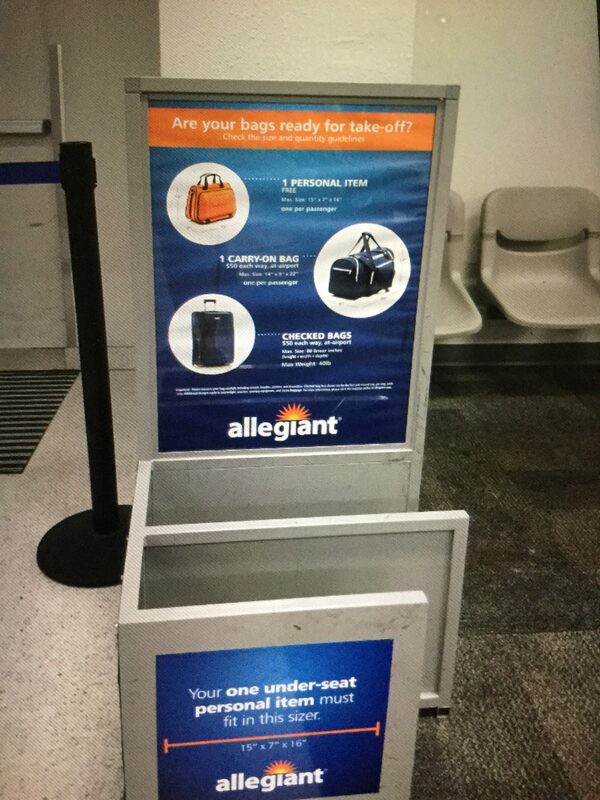 Allegiant always has ready-made, convenient "reasons" for the delays and cancellations but it boils down to the fact that they don't fly any plane that isn't booked to full capacity. If there are any empty seats on your flight, chances are your plane is going to be delayed or cancelled altogether. I can't believe it took me four round trips to come to the realization that this is their pattern. In June 2016 they delayed our flight 4 times over the course of 8 hours and then cancelled the flight just prior to boarding because the crew had "timed out" of their work hours for the 24 hour period. Yes, the crew "timed out" because they kept delaying our flight for unknown reasons! We've lost entire days of our vacation and hotel costs because of Allegiant. Also, their customer service is horrible. I've waited over two hours on hold (speakerphone) before I finally gave up. They don't answer their phones or respond to online inquiries or emails. I will pay more to get to my destination on time. Buyer beware! ✅ Trip Verified | Indianapolis to Jacksonville. Both flights were delayed. Not slightly but by hours. Not weather related. I fly frequently with standard airlines. Tried this airline once and only once. ✅ Trip Verified | I left my wallet on the plane without realizing it. 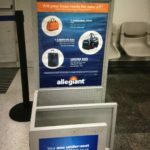 When I returned to the airport the next day, a very kind Allegiant employee took the time to walk me over to the Lost and Found. It was closed, however, she used her ID badge to go in herself (not her assigned duty that day) and found and returned it to me after I confirmed my ID. The $100 cash was still in my wallet, although I was happiest that I would not have to replace all my cards! I asked this employee if she would accept cash as a thank you and she declined. She was just very happy for me. It’s how someone responds when the chips are down that you see a person’s or a company’s true colors. I was so happy and grateful not just for this employee but also for the employees who found my wallet initially and delivered it to Lost and Found. Thank you Allegiant Air employees! ✅ Trip Verified | Indianapolis to Sarasota. My husband and I have both flown Allegiant in the past. We know that it’s a definitely a budget bare bones airline. However they recently started a route that flies directly to his parents hometown so we thought how do we pass that up? I’m a nurse so the best way I can write this review and explain would be in military time. Day one 0800 - get an alert on our phone that our 0900 flight will be delayed about an hour. We were instructed to wait in the gate area. Announced that for weather reasons the flight may take off at 1000, they will keep up posted. Boarded flight and take off around 1030 to Sarasota destination. 1200 get an announcement on the plane that we are about 50min our from our destination and are beginning our descent. 1230, updated that a plane ahead of us encountered bad weather and we are being rerouted to Destin, Florida so we can refuel and then take off once the storm has passed. Water and Chex mix were passed out. Taxied around Destin on the plane until about 1340 and then are given the option to get off the plane at Destin. Three other Allegiant flights had also been detoured. The tiny Destin airport was completely overwhelmed with an hour long Quiznos line and a handful of outlets that were being guarded for dear life. 1530 got an announcement all flights to Sarasota should reboard. Boarded, watched the seatbelt demonstration etc and were taxing for about 45min assuming that we were just waiting our turn to take off. 1630 announced that our plane didn’t pass one of the maintenance checks and that they needed to have some people come out and work on the plane. 1700 from the captain “well the bad news just keeps on coming” now our crew was reaching their maximum work time and they would need to find a new crew. 1710 - deboarded for a second time. Announced overhead the flight would be leaving around 1800. 1755 - announced our flight was canceled and would be rescheduled for the following day at 0700. All chaos then ensued. In the announcement it was said to see the ticket counter for our voucher for a hotel and meal. One long line of our entire flight (200 people) wrapped around the ticket area and multiple times we were instructed to split off into different lines that ended up making zero sense. Two times we followed the instructions given by Allegiant staff that ended up having us in a completely different area while the main line continued to move. People were absolutely heated and little to no information was being distributed. Where were these hotels? How would we get there? Destin is a small city with only a handful of Ubers. We were asked by one Allegiant staff member in a loud tone “if we even knew how a line worked.” Probably not the tone you want to use with a bunch of confused customers who have been standing in lines and waiting going on 12 hours. Then without warning the line structure went out the window and the Allegiant staff started yelling out passenger names with the paper voucher in their hands. Three employees were yelling names over each other and sometimes just using first names, not very helpful. To the lucky that got their names called they got a second piece of paper with five hotel options we could call and book to see if they had availability for us, a few hotels didn’t even know if they accepted the Allegiant voucher so that was not encouraging. Unfortunately we never got our names called so we waited in the ticket counter line for over an hour and got our voucher around 1945. "Left gate late as usual"
Not Verified | Orlando to Asheville. Left gate late as usual - 30 minutes, when landed we sat on the tarmac for 50 minutes. Poor planning on Allegiant part especially into a very small airport. Do not recommend this company. 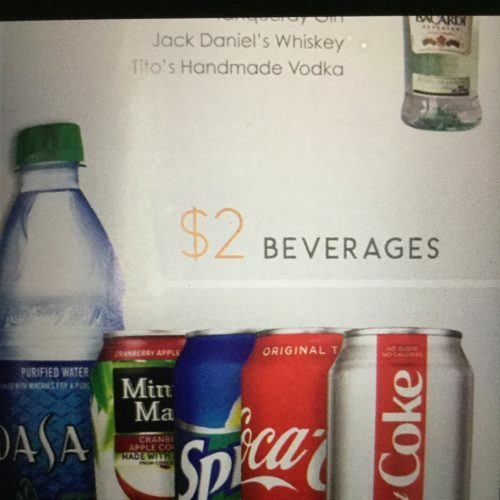 Charge cheap rates until you pay $50 for a 40lb bag and charged for soft drinks. "at the gate 2 minutes late"
✅ Trip Verified | Orlando to Grand Rapids. There were 5 different passengers (not traveling together) who were at the gate 2 minutes late. They would not let us on. The door to the jetway was still open and they had 13 minutes before departure. We were all 1-2 minutes late, ran from security, the security line was unusually long. Then, we were selected for secondary screening. I’ve never been turned away from a flight while there are still people on the jetway. Very unaccommodating. Very unprofessional. Will not be flying Allegiant again. They just made $75 pp to have us re-book. What a scam. 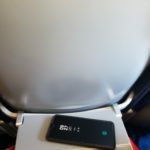 "not be getting on this flight"
✅ Trip Verified | I left St. Petersburg/Clearwater I traveled with them before so I knew we get one personal item so I use the same bag each time when traveling. My flight there went as usual as planned. On April 15th I was due to return home with the same bag. After going thru TSA, I went and took a seat to wait to for my flight as I was waiting I see a Allegiant Rep/ Mid-America Airport worker coming to passengers on the flight asking them if they have a personal item or carry on mind you I have my bag sitting next to me she never once said anything to me she tagged people’s bag who she said she felt wasn’t a personal item - she looked and me sitting there and my bag and still said nothing to me. 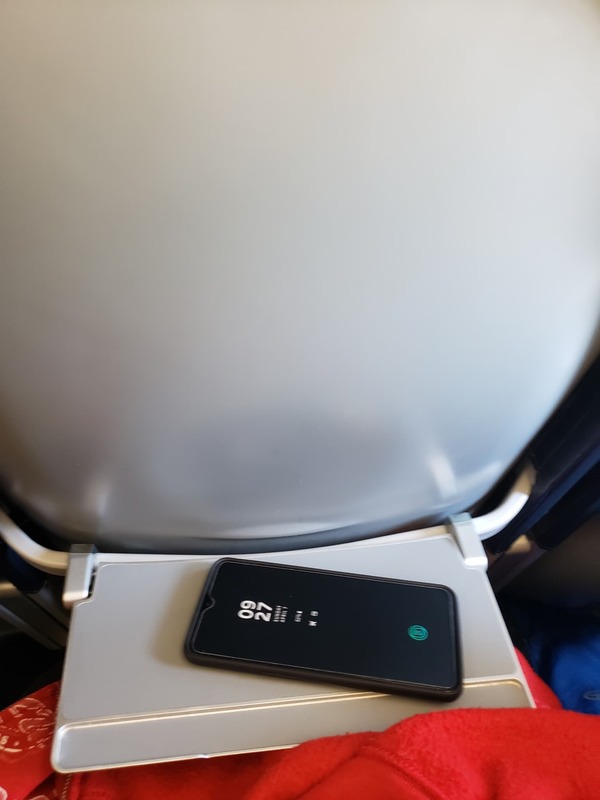 Well about an hour later they start calling my flight, as I was walking up toaboard the flight the same woman said “that’s too big for a personal item” very rudely and stern. I said I flew here with this and never had a problem before with prior travel, she said your not getting on my plane with the bag unless you pay for it. She took my bag and put it in the slot to see if it fit in the personal items (which it did) she says it’s still to big so at this point I’m frustrated and want to get home so I go to another representative and tell her to look my reservation up and she said she found my reservation so I offered to pay for my bag and I would take it up with Allegiant when I got home. She said well your bag is free I’m not going to charge you because you will not be getting on this flight. ✅ Trip Verified | Punta Gorda to Raleigh. Never Again. One way ticket to RDU. Purchased on a Monday, flight on Friday (only flight of the day at 6am), 95 bucks, good deal! First time flyer with Allegiant Air. Arrive in lobby, no self check in kiosks. Go to counter to confirm reservation email / confirmation code. Speak with nice lady, she says “Yes, I have you here, you’ve completed your self check in online, however you will require a boarding pass.” She further explains that the Allegiant app would be able to provide that in the future. Ready? Hard copy of the eticket boarding pass? 5 bucks. Make it through TSA, awaiting zone to be called when I hear announcement in gate area “Those of you carrying any carry on’s will be checked on your ticket to confirm you are allowed to carry a bag on our airline.” A standard size carry on to be placed in the overhead bin the day of travel at the airport of your departure, 50 bucks, but wait, there’s more! So a standard size carry on 14 x 9 x 22. A checked bag the day of travel at the airport of your departure, 50 bucks, not weighing more than 40 lbs and a maximum size of 80 linear inches (H + W + D). A 40 lb bag vs a light 15 pound bag, literally dropping off before the TSA screening vs carrying onto the plane is the same cost. Well as I’m one of the last several people to board the plane, spot several empty seats. As to not be a jerk to the 2 people that are seated and to make them get up and move, so I can grab a window seat, I say “That’s alright, no worries, I’ll just hop in a seat over here.” No, I’m told not until we are in the air, only when the seatbelt sign has been turned off by a stern flight attendant.” Lady from NY that is seated next to me says, we would have chosen different seats elsewhere, but it would’ve been an extra 40 bucks (20 each) to choose. At this point I’m doing the math in my head and am just glad the plane is leaving on time and we’re in the air. So I go to the iPad and begin to watch some mindless Netflix. 45 minutes later, our snack / drink service comes around. Dehydrated from the early coffee and altitude, I ask for cup of ice water. “We have bottles for 2.00.” Oh, well then how about a ginger ale on ice? 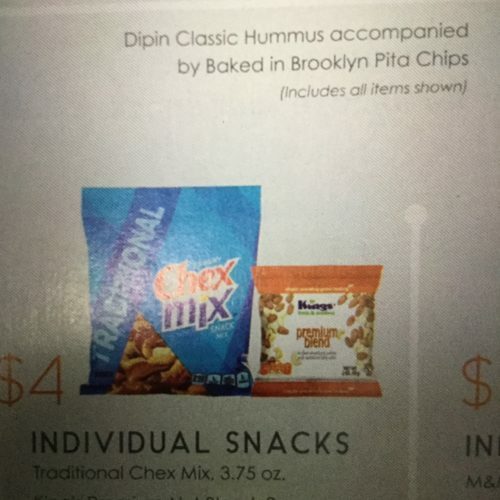 “Yes sir, that will also be 2.00” Ah, I see, no thanks, what about a bag of pretzels or nuts then? “Yes sir, 4.00”. I just laughed at that point and said, I’ll just wait until we land. Talk about a nickel and dime airline. Unbelievable. Worst experience I’ve ever encountered. The worst part as a consumer, make your policies known in large font on your home page before people decide to purchase “A good deal airfare ticket.” Wait, better not, your customer purchases would probably rapidly drop and your company would lose millions. What a racket. Never again Allegiant. Never again.